WOW!!! I never got to own this set- but they are soooo pretty! Happy Birthday Jewel Lip Smackers. ***Such a shame that Lip Smacker will never be this amazing again. Thank you for continuing to update your blog. I am an avid lip balm collector. I will never forget the deep love I had and still do for Golden Butter Cream and Crystal Wintergreen. Take notes Markwins, this is what dreams and holiday Lip Smackers are all about. Not the same flavors repeated for 3 years in a row. I saw that Lip Smackers released the coffee house set- but naturally they can only be ordered online. Why won’t this company sell their products in stores? I know the Rite Aid stores by me only has the old stock still sitting around, Target just sells some stuff during the Christmas season and that’s it. Also, the are making a big fuss over their pink lemonade with the inside balm being yellow. It’s supposed to be pink- hence the name “pink” lemonade. Markswin is botching the company. They’re brand new maybe they just haven’t made it to the stores yet. They do sell Smackers in the cosmetics section at Target but they cut back the last year on what they carried HOWEVER, good news! I did check today when I was there and all the cheap Hello Kitty and other stuff were all clearanced out and Lip Smackers were spread out all over that section which tells me they’re about to reset and it looks like they’re going to carry more. I wish Markwins were more grateful for the dedicated fans they acquired when they bought LS from the Bells. Seriously, the world doesn’t revolve around Disney branding. Also I saw that about Pink Lemonade–REALLY!?! If it’s not broke DO NOT fix it. Their new lemon flavor they use is disgusting and a smack in the face to all the amazing lemon formulas the original Bonne Bell chemist made. Just discontinue a flavor in that case, not completely change it and try to peddle it like it’s back. The people are Markwins are idiots. Wow, some of these flavors seem familiar, but I don’t remember the jewel caps at all. My memory must be getting pretty bad. Lol. Today I bought the 2 heart tin trios at Walgreens and even though I like them, I feel it was a missed opportunity to do a chocolate themed set. I’ve always wanted like a party pack or something of Chocolate Strawberry, Chocolate Banana, Chocolate Cherry, Chocolate Blueberry, etc. That would be awesome. My other dream was the coffee set, but I have yet to find it in stores. On the later part- YES Tanya! Markwins sticks to about 8-10 flavors and renames them 20x’s. *Eye rolls* With all the money they’re making from the Tsum Tsums WHY aren’t they spending it on R&D for new and AUTHENTIC flavors!?! I would of loved a chocolate theme and even a proper Red Hots cinnamon type flavor. Markwins is SO LAZY. Technically, Markwins isn’t going to cater to collectors. We’re a tiny fraction of the company. Here’s some proof for you. Bonne Bell was a small company so they were able to target to a small niche group. They weren’t making a billion dollars a year like Revlon or Loreal Paris. Yes, Markwins is privately held, but they’re not going to target the minute 0.00001% of a company. They’re going to target the general public. I’m sure they’re laughing at us that we think we know better than them when they actually know better than us. A company wants to make money, and us collectors aren’t going to give them $200+ million dollars a year. So, just accept it and move on. The Bonne Bell era is done and over with, and it’ll never come back. EXACTLY! I don’t know where anyone has gotten the idea that a massive corporation is interested in the 0.001% niche. They have made it clear time and time again that they are not interested, yet we continue to act surprised when they do something stupid? It’s true what Heather said. Companies don’t have to take orders from customers. Here’s an article I pasted below that deals with that issue from the Harvard Business Review. HBR’s fictionalized case studies present dilemmas faced by leaders in real companies and offer solutions from experts. This one is based on the HBS Case Study “Cirque du Soleil” (product no. 403006-PDF-ENG), by Thomas J. DeLong and Vineeta Vijayaraghavan, which is available at hbr.org. Natalia Georgio knocked on the door of her new marketing director’s office. Elizabeth Gardos hadn’t done much with the space yet. Aside from two chairs, a desk, a computer, and a picture of her daughters, the office was empty. “You need to get some art in here,” Natalia observed. The two women worked for Delacroix, an avant-garde dance troupe based in New York that had five companies touring the U.S. and Canada. Natalia, a former dancer, was the organization’s executive director. She’d hired Elizabeth, another former dancer, for her decades of marketing experience, most recently at Violet, a fast-growing woman’s athletic clothing company. Despite the stagnant economy, Delacroix was growing at a healthy pace, in part because of its policy of keeping ticket prices reasonably low. Still, Natalia thought the company needed better marketing to support its expansion strategy. Elizabeth, who’d been keen for a new challenge and to return to the dance scene, had jumped at the opportunity. “So why did you want to meet?” Natalia asked. “I’m really surprised that Delacroix has never surveyed or gathered information of any kind from customers before,” Elizabeth said. Natalia had a mandate from Delacroix’s board members to take the company in new directions: to explore international engagements and television and film opportunities. But she was nervous about formulating her strategy without any research upon which to build a case for risks worth taking. She’d explained that to Elizabeth during the interview process. “That’s certainly an idea,” Natalia said, choosing her words carefully, “but it would also be a big change for us. There are some people in this building who will resist.” She was referring primarily to Henry Delacroix, the company’s founder and artistic director. Although Natalia was technically in charge of the company, Henry still exerted a lot of influence. “So it won’t be an easy sell?” Elizabeth said. “Why do we want to ask what our audience thinks?” Henry said. “We don’t care what they think.” Elizabeth and Natalia glanced at each other across the conference table. “Henry, come on—we care that they come to the shows,” Natalia said. Natalia shifted in her seat uneasily. She knew that many of the board members—not to mention the dancers—felt as strongly as Henry did about maintaining artistic control. If Delacroix were to adopt a customer-centric approach, it could lose some of its best people. “Yes, 90,000 people have signed up,” Henry replied. “It has up to now,” Henry said, smirking. Natalia looked at Elizabeth apologetically, but she recognized that Henry had a point. Delacroix hadn’t been founded to meet customer needs; its mission, from the beginning, had been to push the boundaries of modern dance. Henry’s relentless pursuit of that goal had brought the company much success. “What about what happened last year at the Joyce?” Elizabeth asked. Natalia looked at her new hire, who’d clearly done her research. Delacroix had invested a big chunk of its marketing budget in promoting the three-month run of a new show. Expected to be one of its best ever, the show featured dancers in huge masks. Unfortunately, the masks seemed to terrify all the children in the audience. There were walkouts at every performance in the first few weeks, and then parents flooded the website, as well as ticket and review sites, with complaints. After much internal deliberation, the company decided to put a note in the program warning that the masks might be scary for children under eight. Natalia had wanted to do more, maybe even remove the masks from the show, but a few board members held strong to the principle that they shouldn’t bow to customer dictates. They also told her, however, that they didn’t want to see that sort of mistake again. Natalia was in a cab and headed home when her cell phone rang. It was Henry. “You’re not really considering this, are you?” he said as soon as she’d picked up. “She sold clothes, Natalia,” Henry said. Natalia was not surprised. The business types would be all for it, she knew, but the members with an artistic background—the ones who understood the creative process—would never approve it. She pictured each of the board members sitting around the table at their next meeting, only a few weeks away. Henry was right. They would probably divide on this issue, almost evenly. Natalia looked out the cab window. She felt tired. “You still there?” Henry asked. Should Delacroix launch a customer research initiative? Delacroix’s performers, much like great composers, create the shows from what’s inside them—their own innovation—not from customer survey data. To expand into new markets, Elizabeth should leverage the company’s reputation for innovation and look to partner with other pioneering companies. Delacroix can maintain artistic control while engaging its audience. I worked for an orchestra where the music director selected six overtures and then asked concert-goers to vote online for the one they wanted to hear at the final concert of the season. Don’t ask the customers what they want to see. Ask what stirred them emotionally, what they had trouble understanding, which show they wanted to bring their friends to. Throw in some demographic questions. This isn’t about restricting artistic freedom. It’s about better understanding the company’s true fans so that Natalia can find people cut from the same cloth in international markets. Beth Robinson, technical customer service engineer, Ahlstrom Corp.
Before Natalia does any research, she needs to think through two questions: What will we do with the results? How will the data guide us toward our strategic goals? Customer feedback is just information. It’s what Natalia plans to do with it that matters. Mario D’Amico is the senior vice president of marketing at Cirque du Soleil. Any innovative company struggles with how much to listen to customers. Most realize you can’t trust them to tell you what your next new product will be. IT’S LIKE HENRY FORD’S FAMOUS LIN: “IF I HAD ASKED PEOPLE WHAT THEY WANTED, THEY WOULD HAVE SAID FASTER HORSES.” The answer doesn’t lie with the customer. But companies that want to grow as they innovate often need to change the way they do things. When you’re small and local, you don’t worry about getting to know your customers better. When you need to sell 100,000 tickets a week and market to people who don’t know you or your product, it’s a different story. When I joined Cirque du Soleil, we had seven shows. Now we have 21. Our scale requires that we know our audience. Natalia should take Elizabeth’s proposal to the board. If the directors are smart, they’ll approve the idea of surveying customers. Then Natalia needs to be careful about what she does with the data Elizabeth gathers. As Henry, Delacroix’s founder, has made clear, creative people don’t react very well when you tell them what to make. Natalia needs to find devious ways to educate them about the audience without pressuring them to create a certain product. At Cirque, we use research to understand our customers in a general way—who they are, what other types of entertainment they seek out, and what they expect from the Cirque brand. We use the data to brief the members of our creative team, to help them understand who’s applauding when the curtain goes down. We don’t tell them to use a red dress or a blue dress in a certain scene, but we do educate them. Then we get out of their way so that they can create. The message is this: Although they have a huge sandbox to play in, it has a perimeter around it that is our brand expectations. We want them to be innovative while still ensuring that our product lives up to its promise. Our creative team has a huge sandbox to play in, but it has a perimeter around it that is our brand promise to customers. Customer research and brand reputation are especially important when entering new markets where you don’t know what potential audiences expect. Cirque doesn’t tailor its products to a specific group or culture, but we also don’t want to offend anyone—as Delacroix did with those masks. For example, when we designed our show for a Chinese audience, we took into account the meaning of certain colors and numbers. It’s not a coincidence that our first show in China opened on August 28, 2008, given the importance of the number 8 in that country. Natalia is right that Delacroix needs to start gathering customer data if it is going to grow. But she should tread lightly and use surveys in a way that is acceptable to the Henrys of the world. And Henry, for his part, needs to understand that Natalia is not trying to hand over the direction of his shows to the customers. She just wants to achieve the board’s goal of bringing the Delacroix brand to a broader audience. She needs information about customers to accomplish that. Jens Martin Skibsted is a serial entrepreneur and a cofounder of KiBiSi, a product design and design strategy company based in Copenhagen. Before Natalia does anything, she needs to identify Delacroix’s top priority. Henry says the troupe was founded to push the boundaries of modern dance, but it also seems to want to bring dance to as many people as possible. Those are two very different missions. If Delacroix wants to stay true to the former mission—and I believe it should—it can’t ask customers what they want. That would only stifle innovation. Creative and noncreative companies alike succeed when they are guided by a clear vision, a unique set of values, and a culture that no customer insights could ever change. If Delacroix needs to find new sources of revenue, it should add to the core, not change it. If someone had told the famous German modern dancer Pina Bausch that she needed to change certain elements of her performances because they might scare children, for example, she would surely have refused. She was pursuing her own vision, not crowdsourcing productions. Nokia has tried to innovate using several highly publicized crowdsourcing initiatives, which have done little to save the mobile phone company from its downward spiral. By contrast, Apple has been innovative—and hugely successful—with a closed, exclusive, “we know better than customers” approach. Relying on consumer input would only lead Delacroix into the sameness trap. Customers will invariably tell the troupe to do what other popular dance companies are doing. That won’t give Delacroix a competitive edge. Instead, Natalia should be asking her creative team, especially Henry, how to move forward. Or if the team is low on ideas, she should bring in new talent. If Delacroix wants to stay true to its mission, it can’t ASK customers what they want. Natalia and Elizabeth need to remember that it’s OK to be elitist. There is no shame in creating a product that not everyone will enjoy or understand. The Moët Hennessy Louis Vuitton group has an entire portfolio of companies that do very well by serving niche markets. Of course, the NICHE needs to be BIG ENOUGH, but it sounds like Delacroix has found that. Natalia can let Elizabeth do a few surveys; there is no downside to getting to know the audience better. But the scope of the research needs to be limited. She might want to ask customers if they would prefer certain discounts over others or whether they would like food to be available at the shows. But it must be targeted. This is not really a question of whether to listen to customers or to employees. Every company needs to BALENCE the interests of its various stakeholders, and Delacroix can and should listen to customers on certain topics. But this is ultimately about setting a vision and executing on it. Delacroix won’t push any boundaries—creative or economic—if it lets customers drive its creative decisions. “‘Oh my gosh, your office smells so good! How do you not get hungry? '” is often the first thing people say when they meet with Maritza Aispuro, Product Development Manager at Markwins International, she tells me. As the person who heads up flavor development for Lip Smackers, a large part of Aispuro’s day consists of sniffing donut-scented essential oils and licking vanilla-flavored balm off her lips, with the scents sometimes seeping through the glass walls of her workspace into the cubicles nearby. She keeps candy on hand to soothe her coworker’s cravings. In the world of nostalgic beauty products, there is arguably none more universally loved than the classic Lip Smacker. 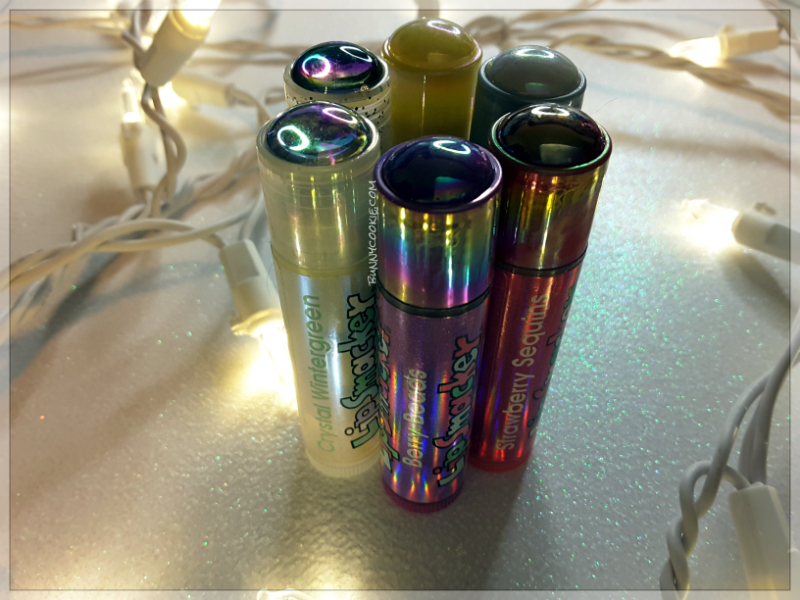 With just enough color to be considered makeup (which upped your middle school cred) and just enough moisturizing ingredients to be considered a lip balm (which upped the chances of getting your parents to let you buy them) Smackers truly were a winning combination for ’90s teens. Users’ passionate ties to the brand are only strengthened by the fact that the company was wildly successful in accurately replicating flavors and scents, like Dr. Pepper and cotton candy, with incredible accuracy. Psychology Today reports that familiar smells can trigger more powerful memories than visual stimuli, which could explain why a whiff of Watermelon Lip Smacker instantly brings you back to getting ready for a middle school dance in your best friend’s bedroom. According to the Lip Smackers website, they became the first brand to launch scented lip balm back in 1972 when they released their strawberry flavor. But even in the ’90s and early ’00s, when when most competitors were sticking mainly to red fruit flavors, Lip Smacker stood out with their Dr. Pepper, Moon Rock Candy, Butterscotch Topaz, Birthday Cake, and other more adventurous scents. And they didn’t smell like “Dr. Pepper mixed with some weird plastic or chemical” — they smelled like pure Dr. Pepper, the soda. It’s not a simple task, and not every treat has a corresponding essential oil, which is why a lot of other brands stick to those tried and true fruits. “The most difficult part in formulating scent that replicates an edible fragrance is that ingredients do not exist to create every food experience,” Aispuro tells me. “For example: Strawberry Shortcake is comprised of the smell of real strawberries, whipped cream, and fresh baked pound cake. There is no such thing as strawberry oil…so when a Scent Specialist is tasked with creating a Strawberry Shortcake scent they use their vast knowledge of aroma ingredients, what each smells like, and how they smell blended together, to recreate that same sensory experience.” Most scent specialists have a background in chemistry, so they know “which flavors can and can’t go into a lip balm format,” Aispuro explains. When I ask Aispuro if consuming all the lip balm and smelling all those oils ever makes her feel a little queasy, she laughs. “I mean, I lick it. I don’t technically eat it,” she says. It might technically be safe to take a bite out of a lip balm, but that’s not something Aispuro practices on the reg. “Again, having a bunch of candy around helps quell any urge to munch on a Smacker,” she says. Her nose often needs more rest than her stomach. “Sometimes I will get like, ‘Well my nose needs a break because now I can’t tell the difference between vanilla or like mango,’ like they smell the same. Which, you know, they shouldn’t,” she explains. Aispuro also keeps coffee beans at her desk to reset her palette, ensuring your vanilla frappe Lip Smacker doesn’t hit the shelves as a mango frappe due to any fatigued sniffers. Aside from the coffee bean breaks, there are other roadblocks Aispuro and her team has run into. Lip Smacker’s tagline is “Best Flavor Forever,” she tells me, which means they’ll only put scents as authentic as that infamous Dr. Pepper to market. And there is one trendy flavor you might be disappointed to hear likely won’t ever make its way to the lip balm aisle: avocado. In 2016, Lip Smacker added Horchata and Sriracha to the brand’s Wacky Flavor collection, two flavors Aispuro cites as some of the most fun to create. During that testing period, they also tried to make a guacamole balm. Speaking about the process, Aispuro says that the final scent defintiely smelled like “something green with a little cilantro,” but that they ultimately couldn’t really get the smell of avocado. A rep from the Research and Development Facility for Lip Smackers explains that the distinct sensation you get from eating avocado comes more from its buttery texture than any real flavor, which made it difficult to replicate, even with their library of over 1500 materials. Plus, any flavor that’s made into a lip balm needs to be stable at a high temperature, so it can withstand being heated during the pouring process. “Avocado is a very mild flavor and would be heat sensitive so it would be technically difficult to achieve and keep stable in a lip balm,” the rep explains. Clearly, they’ve put a lot of thought into this. As for now, Aispuro is already prepping the yummy flavors Lip Smackers will launch for Holiday 2017. While she won’t give me any hints about what to expect, she assures me it’ll all taste exactly like the real thing. Has anyone tried the newer flavors: Coffee House, Floral, and I can’t remember the rest? I’m kinda curious to try but I cringe at the shipping cost and stores stopped carrying them. I finally got around to getting the Coffee House party pack (had to order from Amazon), and I was mostly happy with them. I was most surprised that the Pumpkin Spice Latte one actually smelled like coffee this time. Green Tea Lemonade smelled very similar to Breezy Tea-zy, Watermelon Lemonade was somewhat like the Watermelon Twist Chillerz, but other than that, I thought the other flavors were a bit more unique. I’ve also been wondering about the floral flavors too. I wished they would have made a plain coffee flavored one. I have sweet ones that I wanted to be able to pair with it. I saw they are FINALLY making the oatmeal cookie one, not in a TSUM TSUM body. I’m waiting to hear from the Lip Smacker facebook page about people’s opinions on it before buying. I was recently searching through the instagram pictures of LS and came across this picture of the LS drink cup things that was named Cinnamon Churro. The username is syun10906. OMG, ABOUT TIIIIME!!! Is Markwins listening??? We shall see…. If they make this accurate I’ll be one happy camper. There’s not one scent they could recycle atm that could smell like a Cinnamon Churro so this has to be a new formula. Hopefully this makes up for the 2014 Cinnamon’s Sugar fail. Well, refinery29 just released a press release about the LS Frappe Coffee Flavors. It’s the drink-type balms they’ve been doing (like with the soda flavors). The flavor releases are: vanilla chai, cinnamon churro, caramel, mocha chip, and pumpkin spice. CITY OF INDUSTRY, Calif. — Lip Smacker­­­­ on Monday announced a product collaboration contest wherein fans have a say in what flavor gets made next. Dubbed the “Official Tastemaker 2017 Search”, the brand is highlighting their appreciation to its loyal followers as well as newer Lip Smacker enthusiasts. Fans can submit their suggestion – to include flavor name, three key ingredients, descriptors (salty, sweet, etc.) and #LStastemaker – via Lip Smacker’s Instagram page between May 1 and May 19. After narrowing down to the top five flavors, voting opens on May 30 and the winner will be announced June 28. The winning flavor will be made into an actual Lip Smacker lip balm and sold exclusively on the brand’s website, with credit to the creator. 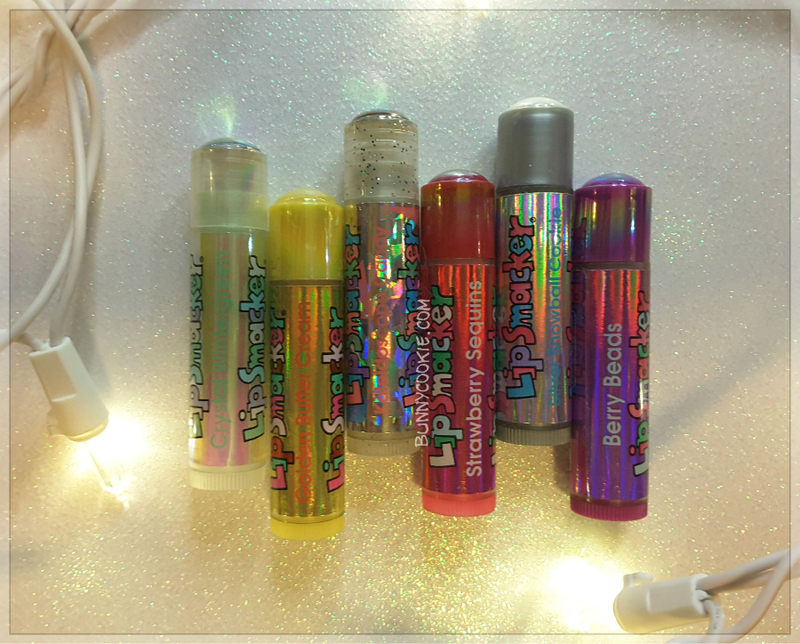 More importantly, winner earns bragging rights as Lip Smacker’s First Official Tastemaker – a tradition the brand plans to honor annually – as well as a personalized case of the Tastemaker lip balm and a custom, crystal-encrusted “Biggy,” which is four times the size of a regular balm. The contest is open to residents of the U.S. and Canada (excluding Quebec). Yes let me rush as fast as I can to tell them good flavor ideas so they can continue making insane profits on poorly made products. They’ll just $#@! up the flavor anyway lol. CITY OF INDUSTRY, Calif., May 29, 2018 /PRNewswire/ — Recently named 52 of Beauty Inc.’s Top 100 beauty companies – and the largest privately-owned beauty company, Markwins Beauty Brands has earned its reputation as home to some of the fastest-growing brands in the mass market. CEO Eric Sung-Tsei Chen built the California-based company through a scrappy eye for acquisitions, a focus on delivering innovation and value, and an unfailing desire to exceed consumers’ expectations. Much of that can be attributed to the brand’s vertical business model where all business activities are Markwins-owned. And consumers are clearly responding positively as the Markwins portfolio, a strategic umbrella of non-competing brands which includes Physicians Formula, wet n wild, Lip Smacker, Black Radiance, Bonne Bell, and Markwins Beauty Collections, reported growth of 35% in 2017 and with companywide sales of more than $580 million. Over the past year, Markwins Beauty Brands consumers have seen Physicians Formula roll out evolved branding along with product development innovation leading to sales growth in new retail outlets of 237%. Influencer favorite and social media darling, wet n wild, captured attention with limited edition, trend-driven launches like the Unicorn Glow and Midnight Mermaid collections while also introducing 2017’s #1 foundation launch in mass market (IRI) – Photo Focus Foundation, which helped drive a 77% increase in the brand’s face business. The iconic Lip Smacker brand also laid claim to 10% growth in year-over-year sales. North America’s #1 ethnic beauty brand, Black Radiance, continued to own 51% dollar share of total ethnic cosmetics. Chen helps drive excellence by keeping it all in the family. Not only does his vertically integrated philosophy ensure all aspects of the business operate in-house, including Research & Development, Sales and Marketing, Manufacturing and Operations but Chen’s three children also have key roles in the business, including VP of Marketing for Physicians Formula, Alice Chen. Together they safeguard accountability and accessibility that keeps the focus on innovation and consumer satisfaction from conception to launch. What’s next for Markwins? Continued growth that taps into markets worldwide and an ongoing pursuit of the right acquisitions, especially in the skincare arena. Whatever happens, expect it to happen fast. Seems like LS is doing better than I expected considering they don’t cater to us collectors anymore. The thing is that you collectors are angry about is that Markwins isn’t operating like BB did. And why would they? Just like a head manager that leaves a retail store and another one takes his/her place, the new manager is going to operate things differently than the old manager whether good or bad or better. If Markwins sold LS and BB to L’Oreal Paris, LP would operate LS and BB differently than Markwins because it’s under different leadership with a whole different team. If you really want to see how you collectors are a small niche, get a petition going and see how many signatures you get. We’ll see how many you get. If you get under ten thousand, that’s nothing. Markwins needs to see millions of signatures in order to change their ways and see how you collectors are a market. If you get a million signatures in under six months, then we’ll talk again and I’ll eat crow. Besides, why would Markwins be making 10% off LS from their total revenue? That would make it 58 million dollars. How do you know it’s 10%? Do you work in the beauty industry. Last year, Markwins released their report for 2016 and they made 406 million. This year for 2017, they made 580 million. That’s 174 million dollars more. If a line was making 58 million dollars compared to 100-120 million dollars LS and BB were making when it was under BB’s ownership, that would mean the line would be less profitable. I don’t think your calculations are correct. Not that I need to explain myself but collectors DO matter. Who else would buy all the cheaply made Disney crap Markwins puts out…DISNEY COLLECTORS, which are guess what…NICHE. Your argument is invalid. Disney is the ultimate sell-out for companies who sell their soul to get more exposure but when you don’t put any money into your core line, the one that has carried your company for 45 years then once people are over the Disney branded Lip Smackers they aren’t going to have a customer anymore because they sold their loyal ones out to make a few more dollars. Markwins business strategy is poorly executed. Have you ever met anyone loyal to any of their brands? Probably not. They cut corners on all the their products and aren’t quality enough to create cult followings. It’s stuff you buy on a whim at Walgreens, use a few times and throw away months later. Lucky for them they just acquired LORAC which I’m sure they’ll gut too. It was not expected that Markwins would continue the same wholesome business practices as Bonne Bell. The thing is they’re not staying true to the brands identity. Bottom line, social media drives companies success in this day and age and if you ever read their Facebook reviews or comments under their Instagram posts you’d know many aren’t happy with the quality of the brand, even the Disney collectors. What’s interesting is how you say ‘you collectors’ but here you are on a Bonne Bell Lip Smacker blog, pointing fingers. Seems like you’re a fan too. -Buddy Bell from a March 2013 WWD article. Sad he sold his familys brands out less that 2 years later knowing this. I’m a Lip Smacker collector and I’ve noticed that, like, you don’t offer as many flavors, like, you used to before Bonne Bell sold to you. Frankly, I’m sick and tired of, like, all the Disney collaborations that you shove down, like, our throats. I demand that you clean up, like, your act and give us collectors what we want. We, like, made you so important, big, and powerful. I spend, like, one million lip balms a year and give, like, you tons of money. You have to bow down to us and give us what you want. You’re, like, lazy, inconsiderate, and stupid. Markwins, you don’t know anything how to run a cosmetics company. BB was a flavor innovator, and they, like, came out with tons of different flavors made in the USA! I’m so unhappy that all your products, like, look for children and not grown adults. You better do as we say because we made you into who you are. So there! As much as we love our lip smacker collectors and enthusiasts, you came across snobby and arrogant in your e-mail to us. Lip Smacker is proud to represent the core demographic of ages 6-16 and that was Buddy Bell’s original wishes. We can market and sell to whatever customer we want to. All businesses have certain demographics and niches. Unfortunately, we aren’t the company for collectors. That doesn’t mean we don’t like collectors, we just have a different format. A company has a demographic that it caters and markets to. If you are not it, move along and find ones that cater to your demographic. We’re free to market whomever we can market to. When certain Lip Smacker collectors calm down and just ask us for new flavors nicely instead of demanding (to not only appeal to collectors but our other audience), then maybe we’ll listen. And frankly, Disney is bringing in the money to us. Why wouldn’t we continue to make more Disney products? As any other company, we have expenses too and a bottom line to worry about each quarter. But thank you for supporting us through and through. Ugh! Markwins are such idiots! They’ll never listen to us. I’ve given up on this company. I’m so angry with them! I feel like suing! Anyone with me? Honestly, I don’t think a lawsuit will work. Markwins seems to be doing just fine. I found this recent article. An immigrant from Taiwan, Chen’s penchant for frugality, humble nature and entrepreneurial mindset run deep in Markwins’ company DNA — from its unconventional acquisition strategy that bucks the industry trend of buying brands with sky-high valuations, to its vertically integrated manufacturing infrastructure and its unassuming headquarters in an office park on the outskirts of Los Angeles. Under Chen’s pragmatic watch, the business has chugged along for the past three decades, from its beginnings selling imported cosmetics kits to department stores, to today, where a stable of acquired brands — Wet n Wild, Physicians Formula, Black Radiance, Bonne Bell and Lip Smacker — are among some of the fastest-growing in a sluggish mass market, and in 85 countries globally. Though presently Markwins is a midsize company, its self-sufficient vertical integration set-up allows it to function “more like that of an Indie brand,” said Chen, meaning the company acts more like a scrappy start-up than a behemoth-in-the-making, and its sizable growth last year is reflective of that. Sales for the company increased 35 percent last year, reaching $538 million according to WWD Beauty Inc’s Top 100. Markwins is a private company and does not disclose sales figures, but Chen noted that 2018 has been “another banner year” for the company. Industry sources with knowledge of the company projects sales thus far have nearly doubled, meaning the company is hurtling toward $1 billion in sales. International sales are a smaller fraction of the company’s business, but have nearly doubled in 2018, up to $100 million according to an industry source. Markwins’ stable of brands is likely to grow in 2019 — the company is “actively seeking” to further build out its portfolio in the makeup and skin-care space. An initial public offering is Chen’s ultimate goal for the company he founded as a young man, and it’s likely a few years away — “maybe 24 to 27 months,” if he had to make an educated guess. (A certified public accountant by trade, he’s a numbers guy at heart.) The company’s rapid growth is the reason it is receiving the 2018 WWD Honor for Best-Performing Company, Small Cap. Chen has a tendency to ignore what others in the industry are doing, and forge his own path forward, on his own timeline. He has built the company slowly but surely through a steady stream of careful acquisitions over the past 15 years — Wet n Wild and Black Radiance in 2003, Physicians Formula in 2012, Bonne Bell and Lip Smacker in 2015 and Lorac Cosmetics in 2018. Rather than shell out the big bucks for a brand that is already profitable, Chen prefers to evaluate acquisition targets for the potential he sees in them. Chen’s strategy is to find diamonds in the rough — oftentimes struggling brands that private equity firms and other beauty companies might pass over — and polish them up to drive sales for the company. Each brand in the Markwins portfolio has a unique identity — for Chen, everything has to serve its own purpose. When evaluating an acquisition, Chen looks for gaps in the Markwins portfolio that can’t organically be filled by existing brands in the company purview. “If for too much money, there’s a lot of conversation about overlap with the brand positioning,” said Chen. Wet n Wild is trend-driven and affordable; Physicians Formula speaks to consumers looking for clean, doctor-recommended products with a natural positioning; Black Radiance makes makeup designed for multicultural consumers; and Lip Smacker captures the teen and novelty markets. The acquisition of Lorac provided an entry for Markwins into prestige and specialty retail. Markwins’ vertically integrated infrastructure is designed to facilitate brand-building in a nimble, fast and cost-effective way, bringing everything from manufacturing to research and development and e-commerce and social media marketing in-house. Markwins is working on building an R&D innovation center inside its headquarters in the resolutely unglamorous City of Industry, 30 minutes outside of downtown Los Angeles, which is home to the offices of many trendy beauty brands. Marwkins doesn’t make an inauthentic move, said Chen. It wasn’t until the Lorac acquisition that the company created a satellite office in downtown L.A. — Lorac’s brand positioning is a Hollywood makeup artistry line. The company does all of its manufacturing in-house, via facilities it owns in China, Mexico and Canada. Doing everything in-house allows the company to react faster. It also helps with retailer relationships, as Markwins can quickly customize trend items for drugstore retailers, or produce limited-edition products as soon as a trend pops up. Wet n Wild is the case study the other Markwins brands are following. The brand’s sales grew 15 percent year-over-year in 2017, despite no category growth in mass market makeup. In the Nineties, the brand was known for its 99-cent eyeliner and glitter nail polish, but In 2012, Markwins began reformulating Wet n Wild’s products, shifting its focus from cheap beauty to “fast beauty” and churning out high-quality, trend-driven innovation at the quickest speed and lowest price possible. Evelyn Wang, formerly the senior vice president of marketing, came on board in 2015 to overhaul the brand’s digital and social media presence. Now, the brand is beloved by influencers and has launched a slew of hit products: The MegaGlo highlighter is the top-selling highlighter in the mass market, according to IRI, and Photo Focus foundation was the top-selling foundation in 2017, the year it launched. Physicians Formula is in the midst of its own makeover. Acquired in 2012, the brand had lost meaningful retail accounts — most notably Walgreens — and its stockkeeping unit count had grown cluttered and confusing. Chen brought in his own daughter, Alice Chen, senior vice president of marketing for Physicians Formula and head of corporate communications for Markwins, to streamline the brand message and product assortment. The brand introduced its new assortment, focused on better-for-you products like The Healthy Foundation at $12.99 and has gained back Walgreens — 1,500 doors to date. It is also making strides on e-commerce and in China, where the growth of the brand has outpaced Wet n Wild. In the U.S., there have been dramatic gains in key categories — blush sales are up 63 percent versus a category decline of 8 percent, bronzer sales are up 78 percent versus a category decline of 12 percent and makeup remover sales are up 174 percent versus a category decline of 6 percent. The online channel is of increasing focus for Markwins, particularly as sales in the U.S. mass market, where the majority of its brands are sold, remain flat and the retail landscape looks bleak. “We’re awfully strong on Amazon,” said Chen. “We’re building our own sites and putting a lot of effort into it — it one of Markwins’ biggest growth drivers.” Like everything else, Chen is bringing digital capabilities in-house, preparing to ramp up digital and e-commerce further in 2019. In June, Markwins absorbed the web design and digital agency Sitejet, and brought on its founder and owner as chief digital officer. A re-brand on Lorac that is expected to roll out next year will deepen the company’s partnership with Ulta Beauty and open doors in the prestige market, including HSN. In 2017, Markwins expanded its manufacturing facilities in North America. Much of the space in its Chinese facilities is now dedicated to products sold specifically in China. Beginning to sell its Wet n Wild and Physicians Formula brand has set the stage for “explosive growth,” said Chen, who noted that China accounted for 30 percent of Markwins’ international growth this year. With the launch of his brands there, he has seen luxury-obsessed Chinese Millennials become engendered with the affordable, trend-driven items his company peddles. A self-professed nice guy with a “big heart” who refers to his workforce as “family” — and in some cases, like the three Chen offspring working at Markwins, they are — Chen views going public as a way to cement his personal legacy and reward his longtime employees (“family members”) after he retires. As much as he likes to talk about the future, he also likes to talk about the family-like atmosphere he’s fostered at Markwins. While he gives most of the credit for running day-to-day operations to executives like Curti, he likes to view his own role as more of a patriarchal figure — setting the tone for how the business is run, and signing off on financial decisions. Chen’s humble spirit has allowed Markwins to fly relatively under the radar in the beauty industry. He’s aware that “the other guys” might not think of Markwins as a “real powerhouse.” That is likely to change soon, as the company barrels toward $1 billion in sales. They didn’t mention anything about LS and BB. As far as everything being made in China with LS, the owner is Asian. I’m sure he would like to support his own country by making products in those countries, even though it would be better to keep the jobs over here in the US. And instead of being upset about Markwins taking over BB and LS, how about if we get angry at Aspire Brands for selling the brand. If they didn’t accept the sale for LS and BB, they would still be owning them and everything would be ok. Why would Aspire sell BB and LS to Markwins? I miss our chats and this blog too! It’s a shame it hasn’t been kept up to at least keep the Bonne Bell memories alive and well. Maybe she’ll come back. After all there was atleast 40+ years of Bonne Bell made Lip Smackers to talk about and we only got a few years covered on here. HI honey bee. Long time no chat. Miss this blog too! !